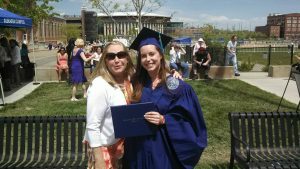 Hattle graduated from MSU Denver in 2014 with a Bachelor of Arts degree in journalism. She enjoyed some firsthand experience while traveling to Steamboat, Colorado, Washington, D.C., and Santa Fe, New Mexico, for her social documentary courses. Hattle is now a Michigan-based medical writer specializing in cluster headaches and writes for plastic surgeons, orthodontists, ophthalmologists and personal injury lawyers. She is also affiliated with Clusterbusters, Inc., a nonprofit organization dedicated to finding effective treatment for CH through research and education. This came after she was plagued with her own nightmare of episodic CH starting in 2007. 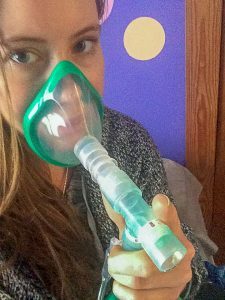 Cluster headaches are not migraines. According to Hattle, they’re a form of Trigeminal Autonomic Cephalalgia that is closer to non-convulsive epilepsy than a headache. These attacks affect one side of the head and comes on quickly, reaching their peak at an average of 8.9 minutes. Hattle described CH as a neurological disorder which affects one in a thousand people, often misdiagnosed as migraines even though the symptoms and behaviors are different. A migraine patient typically prefers a dark, quiet room whereas a cluster patient can’t sit still. Hattle said CH attacks typically occur at the same time each day, especially at night. The cause of the condition is unknown, but the hypothalamus, sphenopalatine ganglion and trigeminal nerve are activated during an attack. The hypothalamus regulates circadian rhythms such as seasons of the year, times of day and sleep. Hattle’s CH starts about every six months, an onslaught of attacks lasting about two weeks around 6 a.m. or 1 p.m., depending on the cycle. In May of 2012, Hattle was sick for 35 days, and this number only increased in November. This occurred when she was looking forward to studying abroad in Costa Rica with hopes to graduate by 2013. Instead, CH had other plans. Hattle took matters into her own hands and wrote the book herself. 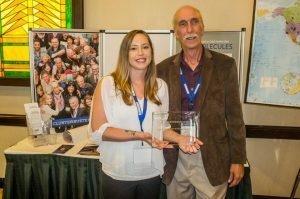 In September 2014, Hattle traveled to Nashville to interview patients and their family at the 9th Annual Clusterbusters Conference. 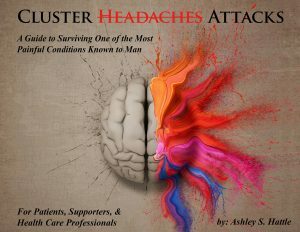 Her book “Cluster Headaches: A Guide to Surviving One of the Most Painful Conditions Known to Man” was published on Sept. 8, 2017. Hattle’s book has a chapter for every aspect of the condition from what an attack feels like to the pathophysiology of CH, and how they differ from other headache disorders. Hattle said there’s a chapter on overcoming PTSD and suicidal thoughts, how to support a loved one with cluster headaches and the available treatments that are both preventive and abortive. Several of the people Hattle interviewed brought her to tears. When she held a book signing at Chicago’s Clusterbusters Conference in 2017, she met a woman who had lost her daughter to CH. Hattle said this neurological disorder is nicknamed “suicide headaches,” because the condition is considered one of the most insidious pain a human being can experience. There are two types of CH, episodic and chronic. Mann said episodics don’t get them all the time, occuring only certain times of the year for a few weeks or months at a time. However, chronic sufferers rarely get any relief and usually have them daily. Both Mann and Hattle have episodic CH. Mann gets them three months out of the year, usually during the spring, but it can happen in the fall as well. High-flow oxygen is Hattle’s favorite method for relief, as it’s believed to have a vasoconstrictive effect, or it dampens down on the parasympathetic activation that causes the tearing eye. Other than high-flow oxygen, Hattle discussed the benefits psilocybin mushroom and lysergic acid diethylamide can have, both containing compounds with the ability to prevent attacks even in the most intractable patients. She explained there’s currently a study going on at Yale, and Harvard did one about 10 years ago, in which they found out that psilocybin and LSD work on the same receptors as medications such as sumatriptan. Hattle hopes these compounds will be legalized for medical purposes soon. More importantly, Hattle overcame CH when she decided it wouldn’t rule her life. Despite her struggles, Hattle succeeded through college and starting a new career. 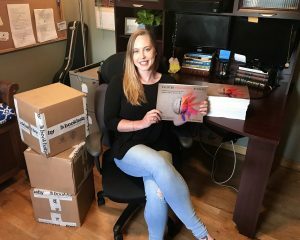 Her degree and continued communication with professors helped her obtain the necessary tools to write her book, landing her first full-time writing job.